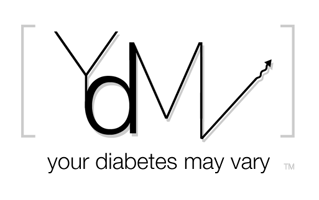 Your Diabetes May Vary: JDRF in Start Up with Venture Firm to Fund T1D Companies. JDRF in Start Up with Venture Firm to Fund T1D Companies. Disease foundations often give money to startups working on treatments that might help the people they advocate for. But it’s not too often you’ll see a nonprofit foundation join with a venture firm to create their own company, as JDRF andPureTech Ventures are doing today. Boston-based PureTech has secured a $5 million investment from New York-based JDRF (formerly known as the Juvenile Diabetes Research Foundation) to spawn T1D Innovations. The new entity is described as a company-creation vehicle that will help form, and provide seed funding, to startups that develop innovative therapies for type 1 diabetes. The plan is to funnel as much as $30 million from other non-profits, strategic and financial investors, into T1D, and use the cash to start eight to 10 projects. Many may go by the wayside, with a few surviving and becoming new independent companies. It will be interesting to learn more about this and the relationship to JDRF's IDDP program. StripSafely & Tim Gunn's Sports Jacket.